Note: This post has been posted in Chinese too. 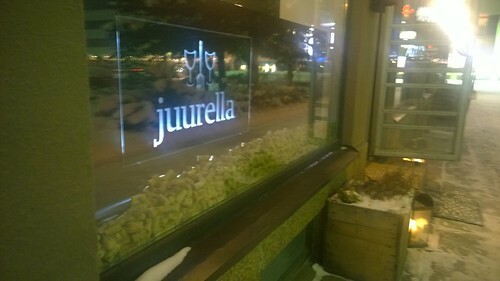 Two weeks ago we went to Restaurant Juurella to celebrate my birthday. 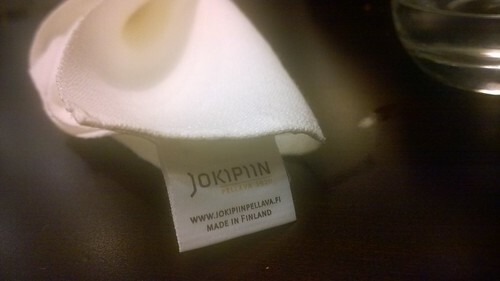 The restaurant is not in the capital area of Finland, instead, it is 300km away from the capital Helsinki. 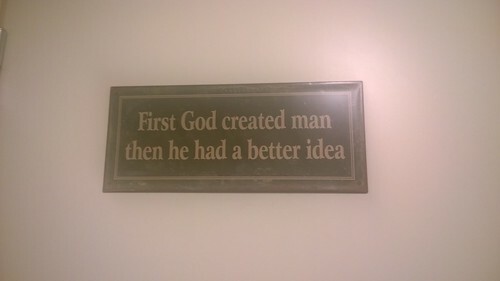 However we decided to come here for several reasons: firstly, we happened to be in this area, at my in-law’s place for weekends. Secondly, this restaurant has been praised and recommended by several my ex-colleagues in Seinäjoki so I have been longing to try out! 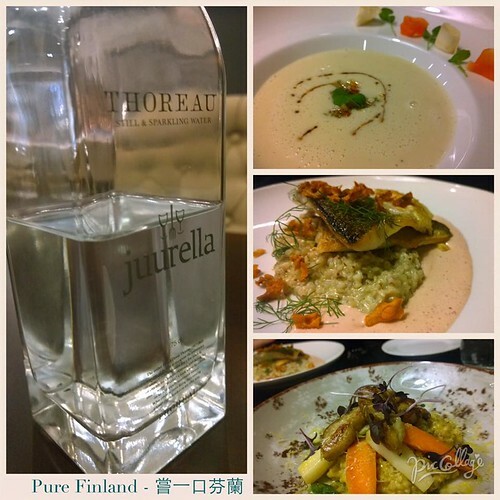 Thirdly, I appreciate the ideology of restaurant: using local food suppliers and ingredients, as well as local designer’s works in the dining environment. Maybe most important reason is: I am always interested in coming back to my ex-hometown to see how it has changed. 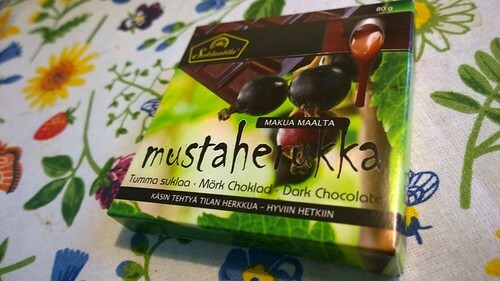 I used to live in Seinäjoki, for 3 years, and I truly appreciate the strong entrepreneurship spirit in this region as well as the flourishing growth of the city. Having any chance to support this city/region, I would be more than happy to do it! 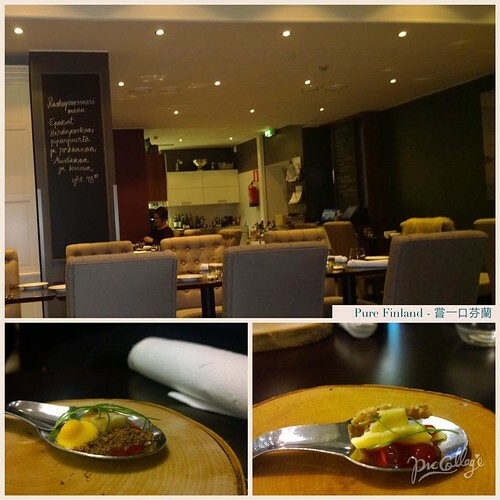 First impression: a specially cosy environment for such a fine dining restaurant. Bread are freshly baked on the same day, and the one spoonful “offer from the kitchen” was also delicious. 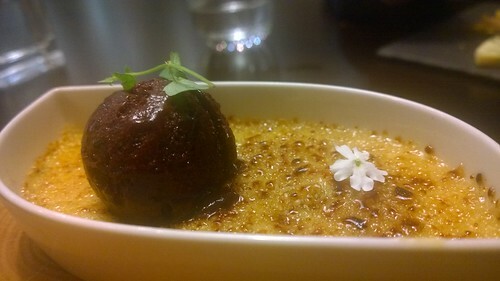 Then came my favorite dessert: bilberry and birch, which means, bilberry sorbet and caramel pudding which contains birch tree water. Meal experience was excellent, so as the dining environment. It delivers cosy feelings to both travelers and locals, as I am a kind of “both”. 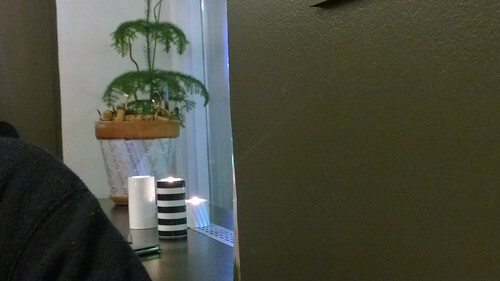 I spotted many products from local designers or brands, such as well-known designer Päivi Rintaniemi‘s pottery works, as well as Jokinpiin Pellava‘s nice textiles (I got also one of their products from my ex-boss as a gift years ago). 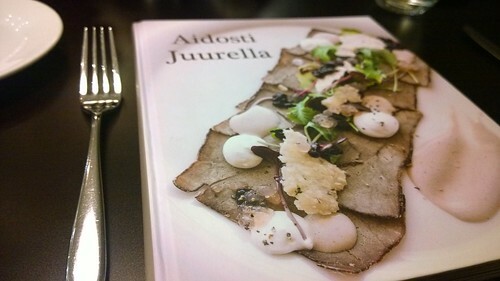 To my delight I’ve also found that the ideology and some recipes of the restaurant has been compiled into a book called “Aidosti Juurella”, in which many local producers are introduced. All in all the whole experience was surrounded by the feeling of respect of local traditions and the origins of food. This post has been posted in Chinese too.